Americans love the Bible; they just don’t read it enough. 24% of American families say they own more than five! 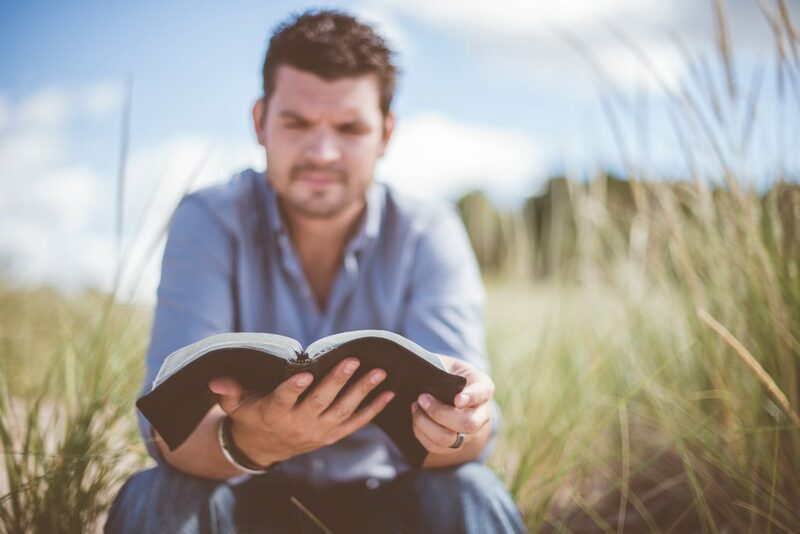 Though Bible ownership is high, only one in seven adults actually reads the Bible daily. Why so few? Most Americans claim it’s the busyness of their lifestyle or their own frustration in understanding the biblical text. Lately, I’ve been sifting through some unpublished LifeWay research on how people interact with the Bible. Many of the tools available (cross-reference Bibles, topical indexes, and so on) help readers come across the connections between Scripture passages or find a timely word in a troubling season. People admit they are more likely to seek out Bible promises when they need encouragement in their daily life. But I’m conflicted about these reports. On the one hand, I want people going to the Bible for whatever reason may prompt them. I believe God’s Word changes lives. Throughout church history, we see people transformed by a seemingly random portion of God’s Word: the eyes of Augustine falling on Paul’s instruction in Romans 13:13, or the preacher’s quotation of Isaiah 45:22 (“Look unto Me!”) that gripped the heart of a young Charles Spurgeon. On the other hand, I want Christians going to God’s Word for more than daily tidbits for practical life. Too many of us go to God’s Word in order to get something out of it. I want more of us to go to God’s Word in order to get into it. The Bible is a world in itself. I don’t think we should approach the Bible like it’s a sunken ship, where we dive deep for an artifact or treasure we can bring back to our own world. Instead, we should see our era like the sunken ship and the Bible as the ocean that surrounds us. Christians must learn how to swim in the Bible. No one will say this is easy. It’s true that the Bible can feel to the newcomer as if it were foreign territory. But the best way to learn a language or adapt to another culture is full immersion into its rituals, routines, and language. That’s why we need full immersion into the world of the Scripture. When it comes to food, there’s a difference between sampling and savoring. You sample finger foods. You savor a meal. Many Christians are used to sampling the Bible; they know how to pull out verses here and there. Instead, we should see the Scriptures as something we savor, as a meal that gives us sustenance and energy to get on with the task at hand. (And if you think the metaphor of “eating” God’s Word sounds strange, spend some time with the psalmist!). This is what I mean by getting into the Bible. The Bible is more than words that inspire; it is a world we inhabit. If Bible reading is only the attempt to get something out of God’s Word, we’ll miss the chance for God’s Word to dwell in us. Countless worlds are offered up to us these days—diversions that form us in countless ways. We inhabit the “worlds” of social media, popular video games, or the world of Top 40 Radio. We dive into the worlds of Star Wars, or Middle Earth, or Marvel’s superhero universe. We binge-watch television shows that invite us to imagine a different era, shudder at an apocalyptic scenario, or distract us from our daily routine. These worlds cultivate and form our imaginations. That’s why, if we are to be faithful in our time, we need Christians with Scripture-soaked imaginations, believers committed to full and regular immersion into God’s Word as the great story of our world. So let’s not allow the Bible to lay dusty on the shelf. With God’s Word on our lips and his stories planted in our hearts, let’s dive in into the strange, new world of the Bible until we speak its language fluently and display its beauty for all the world to see.